The necklace is so beautyful and perfect for These Outfit. Great choice..
Интересные детали отлично разбавили строгое платье! Сумка универсальная, под любой look подходит! Очень понравился воротничек-колье! Absout amazing necklace - but I love your leggings too!! The necklace its perfect you look beautiful. 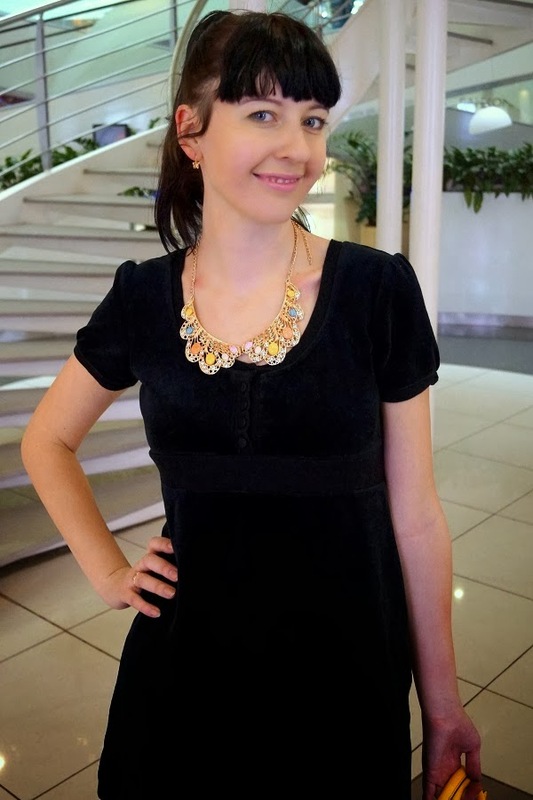 Sweety, this necklace is wonderrfull! 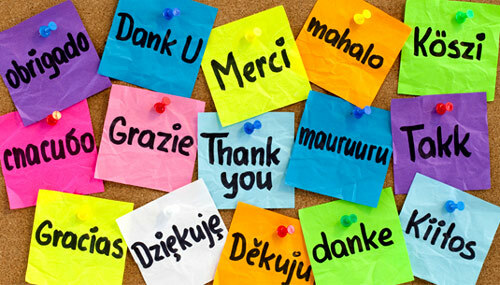 Thank you so much for following me, just started to follow you on GFC, bloglovin' and Google+. Очень оригинально, никогда не думала что черное и желтое может так стильно смотреться! Стильно и ярко выглядешь Лена! love the necklace and the bag!! 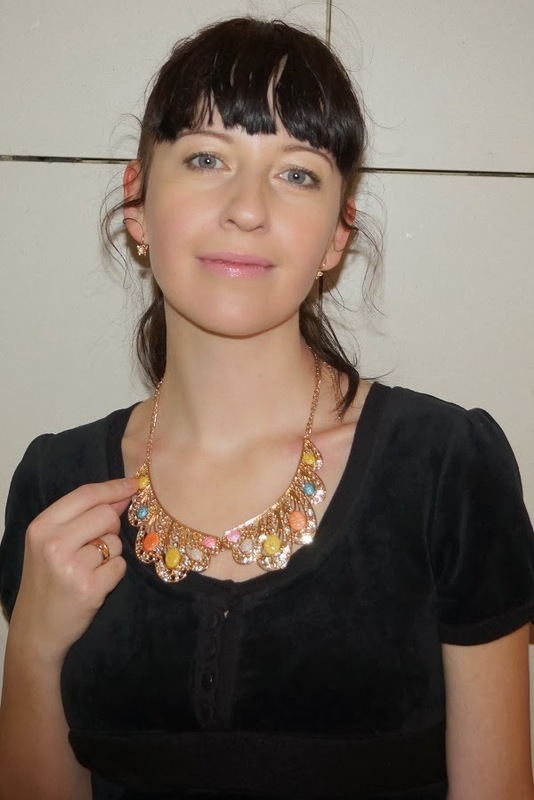 What a gorgeous necklace!!! I love your dress! Love your necklace and your bag! you look very chic and super lovely! wish you a fabulous weekend my dear and thank you so much for your visits! I love the necklace and tights! Great outfit my dear and thanks for stopping by today. Have a really good weekend! I super love this outfit! and the dress looks perfect on you! This dress looks so cute and fits you perfectly!!! What a great combination, the black dress looks great with yellow tights! hello! love the necklace and purse! i just started following you via bloglovin btw. hope to see you back on my blog! I'm following you now. I really like your blog. Такие красивые колготки у вас!!! И сумка в тон. Здорово! Hello dear,you are looking so beautiful,totaly love your outfit!kisses! Nice outfit!! I have a giveaway on my blog, the Missha Perfect Cover BB Cream, I invite you to participate! 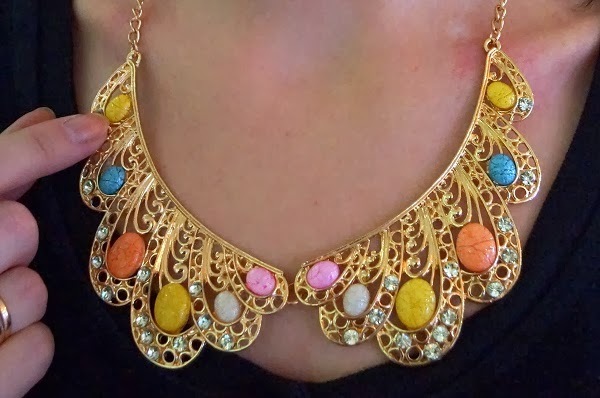 we are absolutely in love with your collar necklace, especially the pastels in it! Love your outfit. I really love your necklace.